I've had a flood of volunteers to test my patterns! It feels lovely to have so many people want to try out my new patterns, in spite of possible mistakes and whatnot. However, I really only need about 3 people for each new pattern, so I'll have to draw names from a hat. But don't worry, because if you don't get picked this time, your name will stay on the list and have an even better chance the next time. I haven't had a chance to work on the new pattern today, but I hope to get it done sometime this weekend. Then I'll let the lucky people know. I'll email you with all the details, if I have your address, but I'll also post the names here, in case I don't. 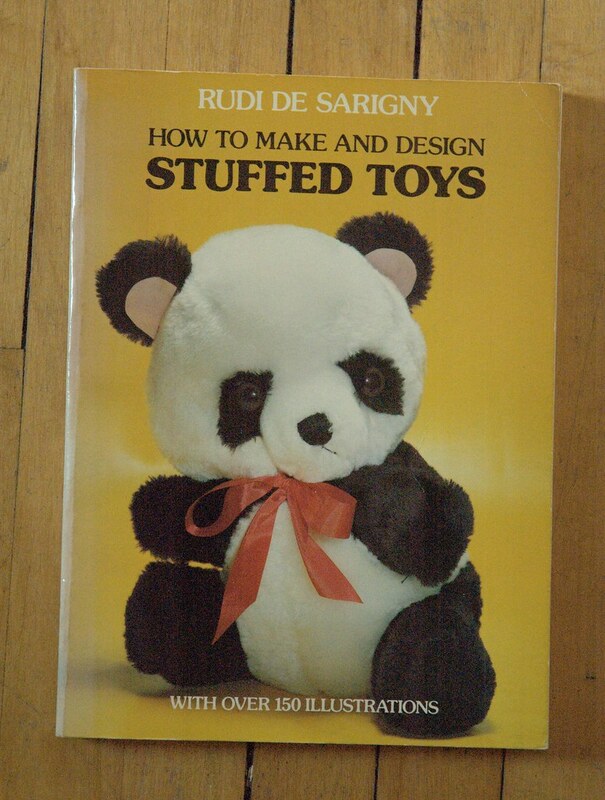 I ran down to the local second-hand book store yesterday for some light reading material, and also found a great book on soft animal toys. It has a ton of patterns, both simple and complicated, as well as instructions on how to design your own patterns from a 2-D line drawing. It's exactly what I needed, and hopefully I'll have some time soon to try designing my own toys. I've been itching to try out fabric toys, partly because I'm so inspired by all the ones I see on Flickr and other blogs. Also because I think they would take less time to put together, so I could pad out what I have to offer at craft fairs. I love my knit toys, but they do take an awful lot of time to make. I doubt I will sell the patterns for the fabric toys, though. Writing knitting patterns is enough work! Love the idea of farm fuzzies. I can hardly wait. What a great find that craft book is. All the Best. April 25, 2008 at 7:08 a.m.
April 29, 2008 at 4:52 p.m.